Languages: Arabic, English and Greek. Feb 1982 - June 1982. Military Field Units. Each year is followed by exit exam to be promoted to the next year. Amman Jordan May 1990-Oct 1994. Jordanian Board of Internal Medicine: April 1989. 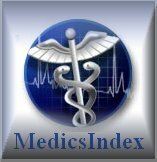 Ø Assistant Specialist / General Medicine (KHMC): June 1986 to March 1989. 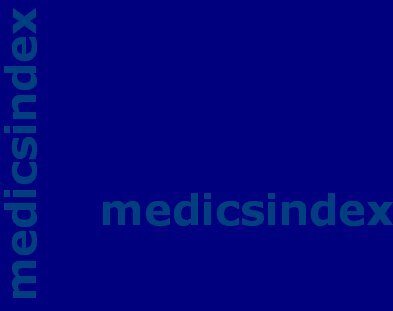 Ø Specialist; General Medicine (KHMC): March 1989 - March1996. v ANALYSIS OF THE DETERMINANTS OF ENERGY EXPENDITURE BY MRI; Proceedings of the International Society for Magnetic Resonance in Medicine, Third Scientific Meeting, August 1995, Nice-France. v INSERTION/DELETION POLYMORPHISM OF THE ACE GENE AND RESPONSE TO PHYSICAL TRAINING; Proceedings of the International Society for Magnetic Resonance in Medicine, Fourth Scientific Meeting, April 27 May 3, 1996, New York-USA. v HYPERPROLACTINAEMIA; TEN YEARS EXPERIENCE AT KING HUSSEIN MEDICAL CENTRE. The First International Medical Congress of the Royal Medical Services, Amman- Jordan . May 1996.
v TESTICULAR ULTRASONIC EVALUATION OF MALES WITH PRIMARY INFERTILITY. The 11th Scientific Medical Day of the Jordan University of Science and Technology. April 1997.
v PATTERN OF BACTERIA AND FUNGI GROWTH IN THE NON-INSULIN DEPENDENT DIABETES MELLITUS’ TOE WEBS. The Fourth Scientific Medical Day of the Internal Medicine Department of the Royal Medical Services in Jordan . 9/7/1998. v CLINICAL AND LABORATORY ASPECTS OF SPONTANEOUS PRIMARY HYPOTHYROIDISM. First International Jordanian-Greek Medical Congress Amman-Jordan May 2000.
v TSH SUPPRESSIVE THERAPY IN SOLITARY THYROID NODULE. First International Jordanian-Greek Medical Congress Amman-Jordan May 2000.
v MORBIDITY AND MORTALITY OF DIABETES AT KING HUSSEIN MEDICAL CENTRE. Second Pan-Arab Congress on Endocrinology and Diabetes Amman-Jordan October 2000.
v EFFECT OF REPAGLINIDE ON DIABETIC CONTROL. THE JORDANIAN EXPERIENCE. Sixth Pan Arab Diabetes Conference, March 2002. Cairo Egypt . v TOE WEB INFECTION IN ASYMPTOMATIC TYPE 2 DIABETICS. Sixth Pan Arab Diabetes Conference, March 2002. Cairo Egypt . 1. ORO-FACIAL MUCORMYCOSIS AND DIABETES. Dr. O. Malkawi, Dr. K.Majali, Dr. A.K. Khawaldeh, Dr. F. Haddad, International Diabetes Digest. 1997; 8(1): 11-12. 2. PROLONGED INHIBITION OF CHOLESTEROL SYNTHESIS EXPLAINS THE EFFICACY OF ATORVASTATIN. RP Naoumova, S Dunn, L Ralidis, O Abu-Muhana, C Neuwirth , NB Rendell, GW Taylor, GR Thompson. The Journal of Lipid Research,1997 Vol. 38: 1496-1500. 3. PATTERN OF BACTERIA AND FUNGI GROWTH IN THE NON-INSULIN DEPENDENT DIABETES MELLITUS’ TOE WEBS. Dr. F. Haddad, Dr. A.K.Khawaldeh, Dr. H. Ababneh, Dr. O. Malkawi. Bahrain Medical Bulletin. Mar. 1998; 20(1): 5-11. 5. TSH SUPPRESSIVE THERAPY IN SOLITARY THYROID NODULE. Dr. Omar Malkawi, Dr. A. Al-Omari,Dr. A. Khawaldeh. The Journal of the Royal Medical Services of Jordan Dec. 2001; 8(2):6-8. 6. TESTICULAR ULTRASONIC EVALUATION OF MALES WITH PRIMARY INFERTILITY. S Khlafat , O Malkawi, F Haddad. Jordan Medical Journal 2001; 35(2): 145-147. 9. LIPID PROFILE IN PATIENTS WITH CORONARY ARTERY DISEASE. F Haddad, A. Omari, O Malkawi, Q. Shamieleh et al. Saudi Medical Journal 2002; 23(9): 447-451. 10. FREQUENCY OF SELF-REPORTING OF ERECTILE DYSFUNCTION IN DIABETIC PATIENTS. A SINGLE CENTRE EXPERIENCE. O. Malkawi, F. Haddad, A. Omari, et al. The Journal of the Royal Medical Services of Jordan 2002; 9(2): 19-22.